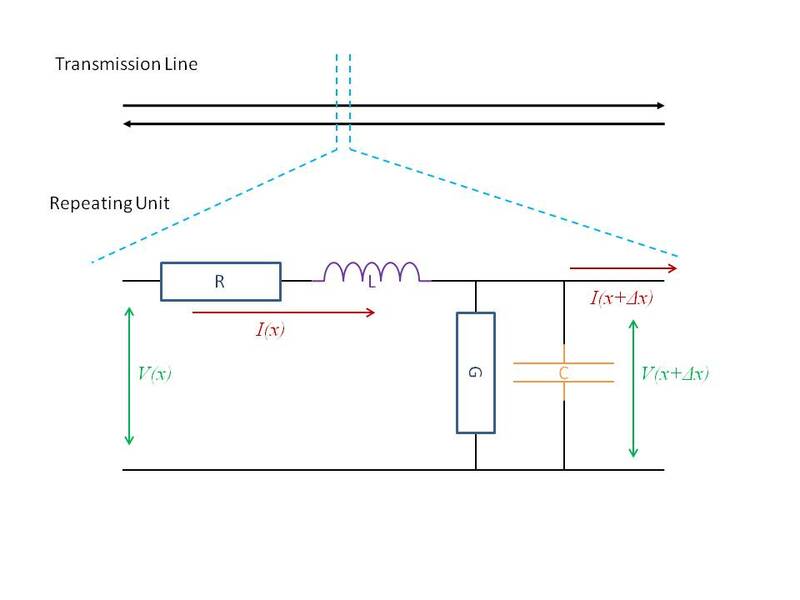 for the coaxial cable is ¼ wavelength, everything in transmission line theory will be simplified. these are 3 important equations on smith chart. after many equations, for impedance matching, we have following equivalent statements. OK. the math is over. The Smith Chart is the Cartesian coordinate for Γ, real axis on horizontal, imagine axis on vertical. and the circles, are the transformed coordinate of the input impedance. the transformation is called Möbiüs transform. a good impedance matching can be found at the origin of the chart, where , and if we read the input impedance coordinate, it is , which mean, impedance matched. However, there is never so ideal in real world. the input impedance always has some imaginary part, or real part not equal to 1. so, what if, both of them are different by 0.2 or 10 Ohm? i had played with the impedance of coax cable. connect the signal generator at 50Ω output and a 4meter long coax to a CRO with 50Ω input with a tee. although the web said, the coax impedance is 52, there is no observed different. the peak-to peak signal does not depend on the frequency. where the CRO reading is the input voltage. when the frequency adjusted to 12.8MHz, which is quata-wavelength, the input voltage is equal to 1.
when connect the end of the coax with a 50Ω resistor, the input voltage does not depends on frequency, as expected. i haven’t try to short the end of the coax. The above is the circuit diagram. there is a fixed capacitor with 2.2pF in parallel. i cannot identify the type of the 2 variable capacitor. the coax cable can be put in port 1 or port 2 and the coil put in the other port. different configuration has different behavior. i found that, the input is in port 2 and the coil is in port 1, and the box doesn’t ground but just wrapped with metal sticker. i took it out and grounded to NMR system. Thus, i tired to measure to inductance of the coil by a parallel resistance. but i cannot find any suitable wire to convert BNC cable to wires. after a long time finding, i gave up and wait unit work with my partner. there is one way to tune the Cp to match the input frequency and make load impedance solely depends on Cs. by using a pulse signal. and measure the natural frequency of the LC loop, such that the natural frequency is same as input frequency. However, the Low Pass Filter only let frequency less then 1MHz pass and out frequency is 12.8MHz. can i use other pulse source? may be, if i have a mixer. so, i matching the impedance by very naive way. i use the method on testing the impedance matching. i use a continuous signal source and fixed the frequency at 12.8MHz, then connect it with a coax cable to 50Ω CRO input by a tee, then connect th tee with a 12.8MHz coax cable. the other end of the cable connect to a 50Ω resistor. this setup should be matched impedance. so, i record the input voltage on the CRO. and replace the resistor with the tuner, which port 2 connected to the coil. then adjust the capacitors (both) so that the CRO voltage is same as 50Ω resistor. 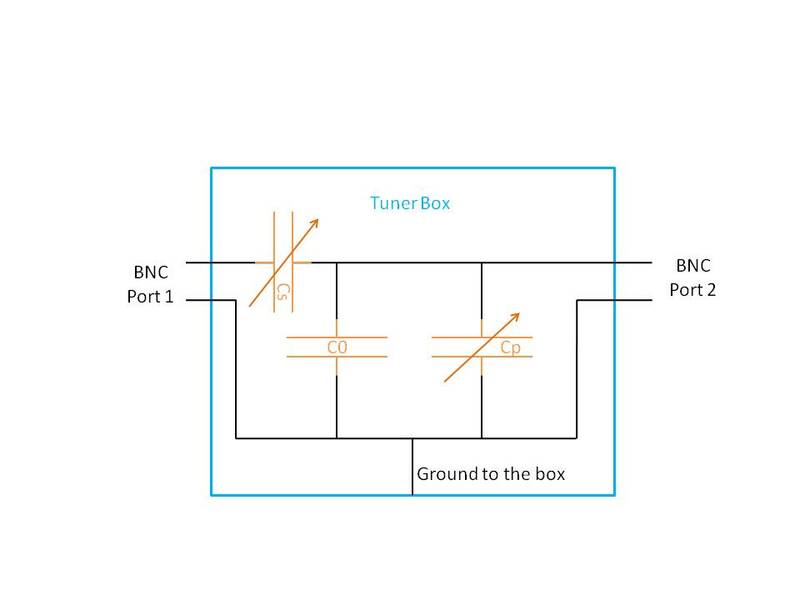 by solving the load impedance formula of port 1 configuration, there are mulitple solution for Cp and Cs to give 50Ω. and i think, as long as the impedance is 50Ω at 12.8MHz, any configuration can do the job. later, i try to find the water NMR signal. although i cannot find any. but the noise level reduced to ±5mV. more or less equal to the background. i played with the NMR program. the record data is counted by point, so the CRO horizontal setting should set to 5000 points over the screen. It is a current to voltage converter. the ratio of the converted voltage to the input current is notated as the K-factor, which indicated that the converter may amplify the signal as well. The reason for study a I-V converter is due to the experiment’s needs, that we have a current output but we want to know the size of the current without affecting the circuit. A simple I-V converter is made by 1 single resistance. When a current passes the resistance, a voltage is built across it. If we measure the voltage with an infinite load voltage meter, then no current will go to the voltmeter and system is unaffected. In this case, the resistance of the resister is the K-factor. However, we normally deal with an AC signal, which is oscillating with frequency. If the converter amplify the AC signal, it has capacitance and reactance (impedance) depends on input frequency. So, we have to choose a correct range of working frequency of the converter.